Are you searching for the right Houston TX Security Systems For Business that fit your business’s needs and setups? If you’re currently working with a commercial structure, you probably want to make sure it has protection at all times. You never know what could happen, and being on ahead of danger and outside threats is a great way to stay safe. Keep your commercial structures safe at affordable prices by calling Mega Systems Security at 713-668-8818. As a local Houston business in Houston, we understand that there are a lot of people who need to keep their investments safe. You’re probably very closely involved with your commercial structure, and it’s a place that holds most of your time. If you want to make sure you stay safe while you’re working every day, call our team for help. We’ve got a bevy of security solutions that can keep your establishment safe for years to come. Our technicians can provide you with an onsite consultation today to figure out the right solution for your business. Our team has high tech alarm systems that will alert you when you need to know what’s going on in your commercial structure. Do you worry your opening doors a lot? Maybe you also want to be notified when you have movement in your office. If so, our applications can be loaded to your smartphone so you can have updates for your business. Our technicians install high quality equipment that gives you more power over your commercial security system in Houston TX. Dealing with your security measures is going to take a lot of thought and planning. This isn’t something you want to mess up, and it’s your line of defense against outside threats. Because to this, investing in a team of experts you can trust is a great asset to have. With Mega Systems Security on your side, you’ll always have a professional team in reach for when you need help. Our staff has experience with working with Houstonians and local Houston TX businesses across the city. You can trust us to take care of your establishment and keep it safe for the foreseeable future. If you’re trying to find a security system for your Houston TX business, you may be interested in only picking from the latest technologies. Many customers want to make sure they’re receiving up to date products that will withstand outside threats. You never know what a potential breach could involve. If you want to make sure you’re always properly protected, we can help. Our technicians can provide technology that is ahead of the curve and all-protecting. Trust us to figure out your Houston TX Security Systems For Business needs. IP cameras are a great investment, and it’ something you can find here at Mega Systems Security. Are you beginning to see that you don’t have the best video capturing technology possible? If so, our cameras are the perfect fit for your commercial structure. We have a camera that uses internet protocol technology. This means that your smartphone will be able to directly connect to your cameras and make sure you have the right footage for your specific feed. This is a great way to remotely check up on your business and make sure you have a look at what’s going on. At Mega Systems Security, we believe in providing our customers with unique solutions that aren’t cookie cutter short-term fixes. Every single office, warehouse, and structure is different and requires a different type of securing. If you’re looking for mobile technicians who can help you with your security measures, our team can help. We’ll provide you with an onsite consultation that helps you learn more about what it’s going to take to secure your business. Call us today at 713-668-8818 for additional information on how we can help your company. If you’re someone who works in business, you want to make sure that your commercial structure in Houston TX is under protection at all times. Even when you’re away, you’re going to want security support. Not everything that goes on within your company is confined to a single office or building. Because of this, you probably find yourself on the road or in the air very often. If you leave the city for days, you don’t want to have to worry about what might happen while you’re away. Relieve these worries by counting on the security systems that we can install for you. Access control systems are another part of our business. Do you want to be able to have some sort of regulation over the people who enter your commercial building? If so, we’ll provide you with technology that makes this easier. Using items such as ID badges and passcodes are only the tip of the iceberg when it comes to your commercial security. Call us today if you want to learn more about the vast amount of ways we can help your business stay secure. We understand that every business needs to have reliable security for the right price. Not every budget is the same, and our team understands that. If you want valuable services that are worth their price tag, our team is here to help. We take pride in providing Houstonians with affordable prices that won’t break the bank after the final installation. Choose our company if you’re looking or quality security at the right price. 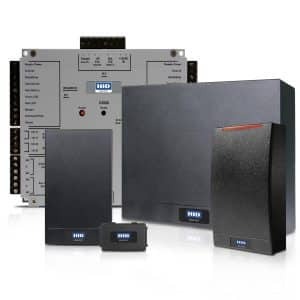 Mega Systems Security provides our customers with the best Houston TX Security Systems For Business in the market today. If you’re ready to start improving your customer, workplace, and personal security while you’re in your commercial building, call us today at 713-668-8818. We’ll give you a personal consultation that identifies your security needs and a creative, unique solution that meets them. Houston is an incredibly diverse city that has a medley of different cultures and nationalities. Over 90 different languages are spoken in our city on a daily basis. Visit Houston if you’re looking to start a business. Our economy is continuing to grow and become one of the hotspots for American capitalism.